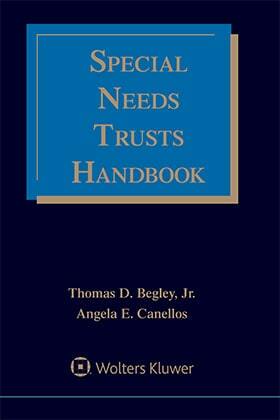 Special Needs Trusts Handbook is a two-volume, comprehensive resource that enables you to handle the complex requirements of drafting and administering trusts for clients who are mentally or physically disabled, or who wish to provide for others with disabilities. This one-of-a-kind reference enables you to determine which trust is appropriate, how to draft each trust to cover specific issues, and how to administer each trust - making certain that your client maintains public benefits while still receiving funds from the trust. Help in determining if your state is an SSI state, non-SSI state, 209(b) state—and more! 7.01 How Does a Structured Settlement Work? 7.03 When Should a Structured Settlement Be Considered? 12.04 When is an MSA Required? 12.06 What Cases Should Be Submitted for Review? 12.11 National Alliance of Medicare Set-Aside Professionals, Inc.
15.01 What Is a Qualified Settlement Fund?